I have a Problem with Palpitations and Rapid Heart Beats…. (beat.beat.beat...beat.beat...beat.beat) at very high rates.When this tachycardia starts i feel very dizzy and stomach ache, Pressure in the chest.I think it was somewhere about 200bpm without success for ECG recording. 5 days ago I was admitted to hospital in the cardiology department.Аt the hospital did blood tests (cardiac enzymes, electrolytes - which were normal),EKG's, ECG stress test and echocardiogram. Stress Test : Heart Rate 130bpm at 150W (was stopped because of leg fatigue) doctors say that there is nothing. But I worry about the high heart rate`s which happened several times as I mentioned.Mainly worried about V-Tach and V-Fib. Can you advise me what else can be done I'm afraid there is something serious.whether it is associated with Anxiety or with MVP or something bad what you think ? Аbout me : 26 y/o male , 6.10 feet , 211 pounds , smoker (1 pack a day trying to quit) , non drinker , no family history of heart disease or SCD. PS:Also last night and today I felt some kind of flutter i just can not explain it something like butterflies and wheezing it was less than 1 minute but it was scary as hell I felt this and shortness of breath,little dizzy. A: While i was reading you question, i remembered a story of my own. When i was a medical student i have a similar problem. When i was worried or in stress due to exams or any any other problem similar strange thing happened repeatedly and that thing occurred only when i tried to sleep and relieved by exercise. When i tried to sleep and lied down my heart started throbbing and beating rapidly and forcefully, it was very rapid, then after this attack of tachy my heart paused and i felt dizzy, but after few seconds my heart started beating again. That thing used to happen again and again, unless i do some exercise. This condition relieved by exercise. but i was worried, and this made the condition worse. I had read about many heart diseases, i used to think i have all those, . 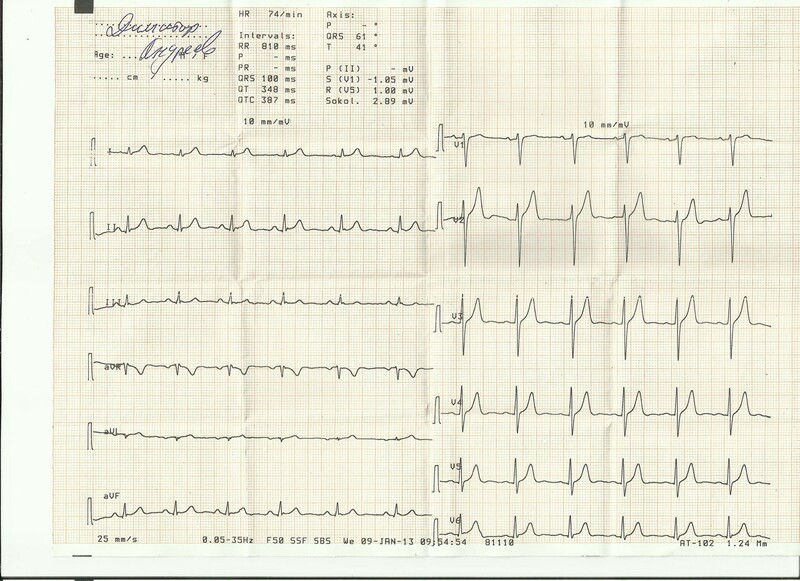 I rushed to hospital and had my ecg but every thing came out normal, then i searched in internet, many other people have similar problem, then i read in my book, about this, that this is a benign condition that occur in young individuals usually athletes, in which heart starts beating rapidly and forcefully, this forceful beating, occur when heart is half filled, which results in low cardiac output, when this happen, heart stops beating so that it can fill, this is called compensatory pause, after this pause heart starts beating again. When i read this, I was relieved. Well in your case, few PVC’s over 24 hours are normal and can occur in normal individual. If all the tests are normal then it tells us there's nothing serous going out there. In cardiac ischemia or heart attack cardiac enzymes and ecg shows definite abnormalities but in your case all are normal. So it means there nothing serious there. As your doctor has also told you that there's nothing serious. 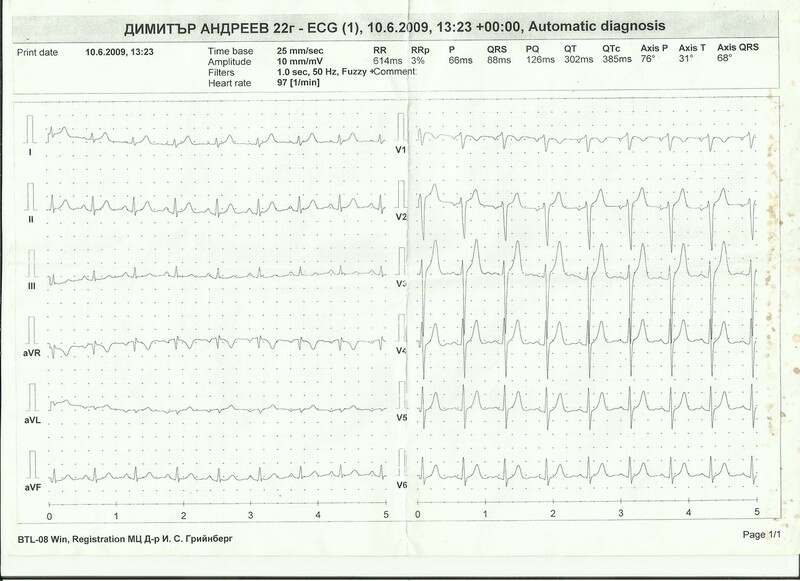 Rapid heart beats for short period of time, could be a benign neurological phenomenon. Slight mitral valve prolapse is not dangerous. Stress and anxiety due this condition may aggravate this condition. I would suggest you to follow your doctor's advice on this matter. Go to a heart specialist if problem go worse.